Sports Weekend, Oh My Goodness, what a monstrous weekend of sport and fun. Thank you so much to all the volunteers who helped over the weekend, whether it was timing at the pool, running a team, scoring, scheduling, painting lines, moving equipment, announcing and the list goes on. 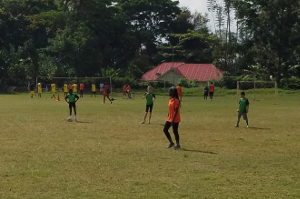 Our students and in fact 800 students have had a blast, learnt a lot and most importantly continued to develop an understanding and a desire for a healthy, active life. We could not have done it without you. Asante Sana. ISM had a great success over the weekend with our swimmers taking the 1st place position for the 2nd meet this year. Below are some of our top 3 finishes, special mention to the U19 Boys Soccer, U19 Girls Netball for winning their competitions. In addition to this we had individual competitions in Tennis, Cross Country and Swimming. The winners in those are too long to mention here, but we congratulate all those that participated in those events as well. Your efforts were incredible this weekend. Above is a table showing how well we achieved compared to the other schools in all sports. Due to continued efforts from our coaches and PE department our students are competing well in all areas. Thank you again for all your support it is great to see our students doing so well.